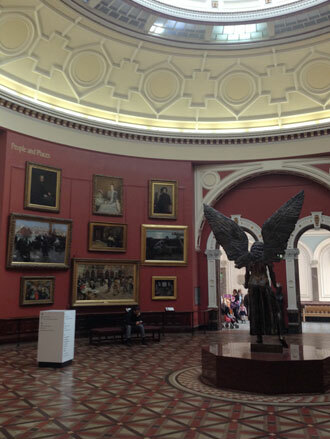 On Saturday, I was able to make a very quick visit to the brilliant Birmingham Museum & Art Gallery. 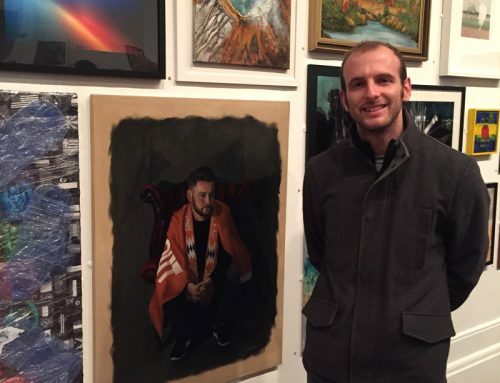 Despite being on a strict time schedule I managed to track down some of the best portraits in the gallery’s collection and wanted to share my thoughts on some of my favourites. Based in the heart of Birmingham City Centre and only five minutes walk from Birmingham New Street Station, the museum and art gallery is well worth a visit for anyone who gets the opportunity. The beautiful landmark building houses over 40 galleries including a world famous collection of Pre-Raphaelite paintings. However, due to my lack of time I had to prioritise my visit and so upon my arrival I made straight for the 18th Century art gallery. 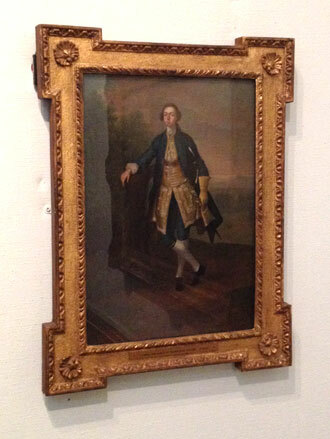 The first portrait to catch my eye was the portrait of Erasmus Darwin by Joseph Wright of Derby. 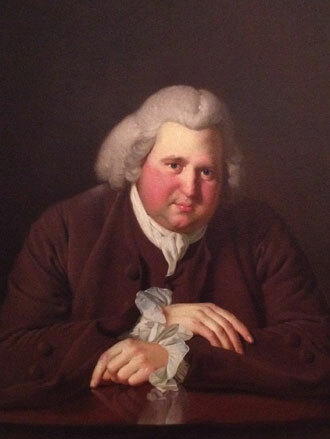 Most famous for his scientific themed works such as the iconic Experiment with a Bird in an Air Pump, in this painting, he captures Erasmus Darwin, the grandfather of Charles Darwin. I love the way in which the velvety texture of the jacket and (especially) the buttons have been rendered by the artist. 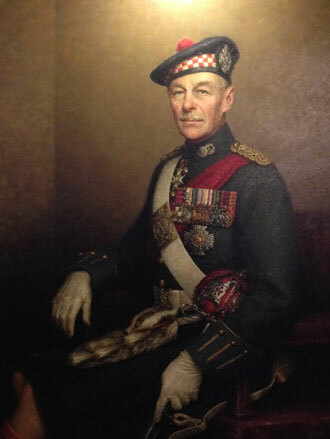 The way the natural light falls across the sitter creates beautiful contrasts and really brings the image to life. The best example of this is the hands, cuffs and their reflection in the surface of the polished table. The subtle mirrored reflection of the index finger resting on the table creates a lovely area of interest in the bottom third of the painting. François de Troy was a French portrait painter and engraver who enjoyed a long career painting the upper classes of society in the late 17th and early 18th century. 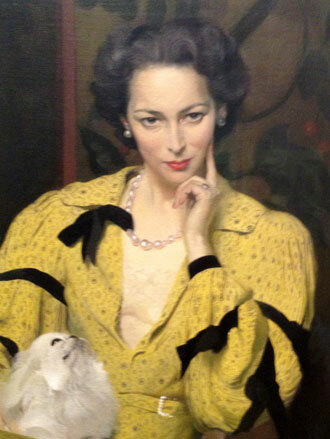 In this painting he depicts his wife in a relaxed pose, looking away to one side. 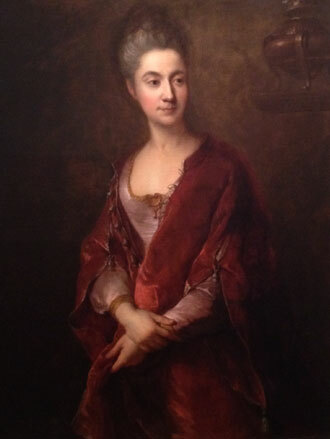 I like the way the artist has captured the subtle shadows cast on the neck, face and hands giving an impression that the sitter’s skin is soft. 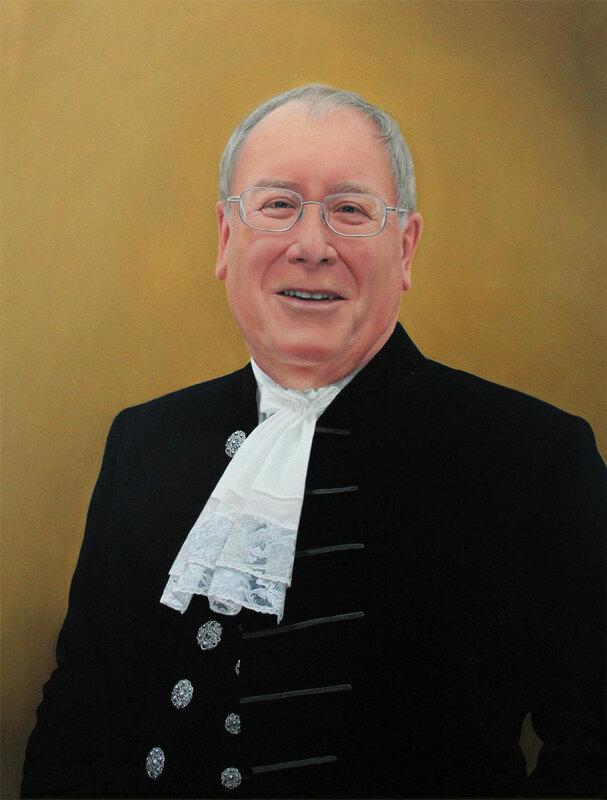 The blended edges of the shoulders, neck and hair into the earth coloured background provide a sense of depth while helping establish Jeanne Cotelle’s facial features as the focus of the piece. 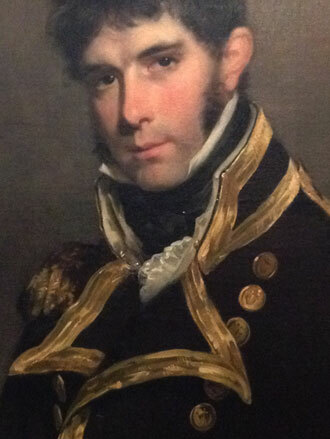 In this three quarter length portrait, William Owen portrays Gilbert Heathcote, a young naval captain. The artist was one of the most popular portrait painters of society and military subjects in the late 18th century and through this piece it’s not hard to see why. The stance of the subject makes for an eye-catching composition that grabs attention from across the gallery. 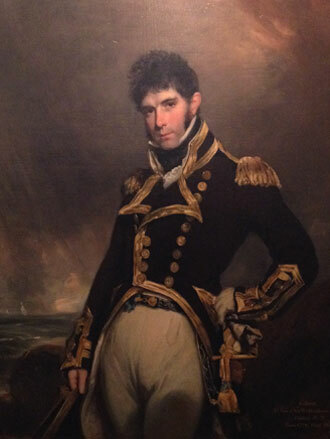 What I found most interesting about this painting however was the confident manner in which the finery of the military uniform has been painted. 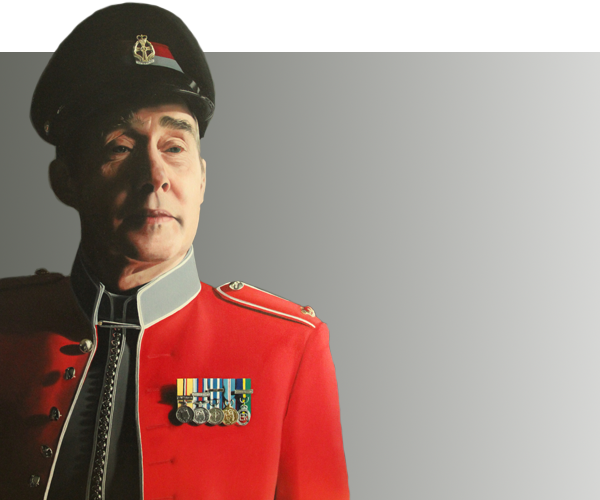 Having enjoyed the challenge of capturing a military uniform on canvas myself it was great to see such a different approach. The gold buttons and trim are painted with real energy, contrasting brilliantly against the dark solid mass of the rest of the jacket. 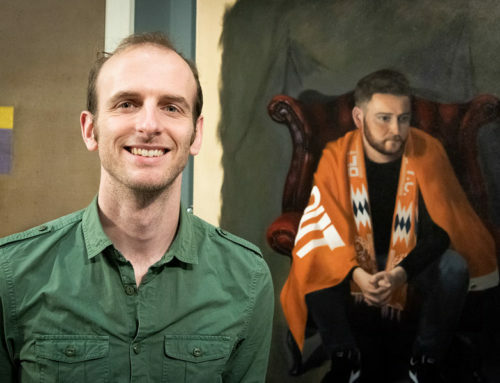 Other paintings that caught my eye during my short visit to Birmingham Museum & Art Gallery included a pair of small-scale portraits by the Preston born artist Arthur Devis. 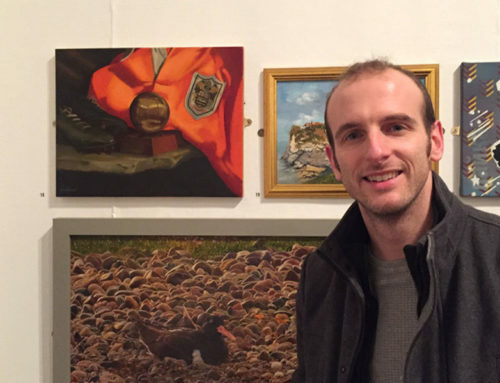 I discussed the artist’s work in my blog about paintings in Lancaster City Museum last month and it was great to see more of his work in Birmingham. It was also interesting to read on one of the interpretation panels that the doll-like appearance of sitters in Arthur Devis paintings was most likely down to his process. The artist would paint the costume and body from a mannequin before adding the facial features later. You can see numerous examples of his style in a board I created on my Pinterest account. 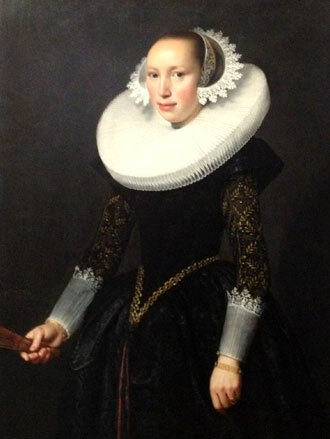 Having recently completed a portrait of the High Sheriff of Cumbria featuring an intricately detailed rendering of a lace jabot, I was amazed at how clinically accurate the ruff (collar) was painted by Nicolaes Eliasz Pickenoy in their Portrait of a Woman. 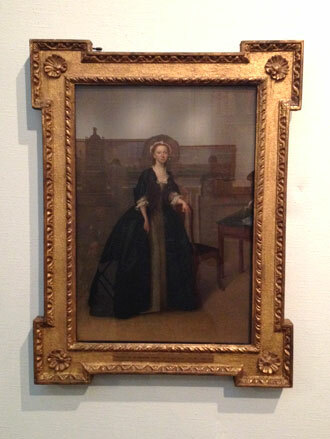 Paintings by three more special portrait artists could be seen in these galleries; Romney, Raeburn and Reynolds. I’ll be looking in more detail at the works of these three ‘R’s’ in my next blog.